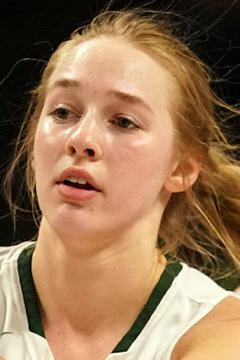 A regular fixture in the Class 2A state tournament, Borowicz scored 30.5 points per game in her fifth consecutive and final tourney appearance. She was 4-for-8 from behind the three-pointer arc and finished with 28 points in a loss to Caledonia in the semifinals. Borowicz, however, scored 37 points in a 38-point defeat of Albany in the third-place game.